(CBS/AP) WASHINGTON - Defense Secretary Leon Panetta has limited the flights of the F-22 fighter jet to regions where pilots can quickly land the plane if they experience oxygen problems. Panetta ordered the Air Force on Tuesday to take new steps to address undiagnosed safety problems with the jet. CBS News correspondent David Martin reports that according to the Air Force, there have been 22 unexplained cases over the past four years in which pilots experienced symptoms of oxygen deprivation. The F-22 was grounded last year while engineers searched for something that could be contaminating the cockpit air, but the Air Force returned it to flight, sending the F-22s to the Persian Gulf, without finding the cause. Is the Air Force's F-22 fighter jet making pilots sick? The new restriction does not affect the war effort in Afghanistan because no F-22s are deployed there. The limit on flight distances means the routine mission of patrolling U.S. airspace in Alaska will be done by other aircraft. Pentagon press secretary George Little said the jet will not be grounded. As 60 Minutes reported earlier this month, the Raptor - the most expensive fighter ever - has been plagued by a mysterious flaw that causes its pilots to become disoriented while at the controls from a lack of oxygen. Pilots of the stealth fighter have complained that those oxygen-deficit problems have resulted in pilot dizziness, blackouts and other symptoms. In a segment that aired on May 6, Maj. Jeremy Gordon and Capt. 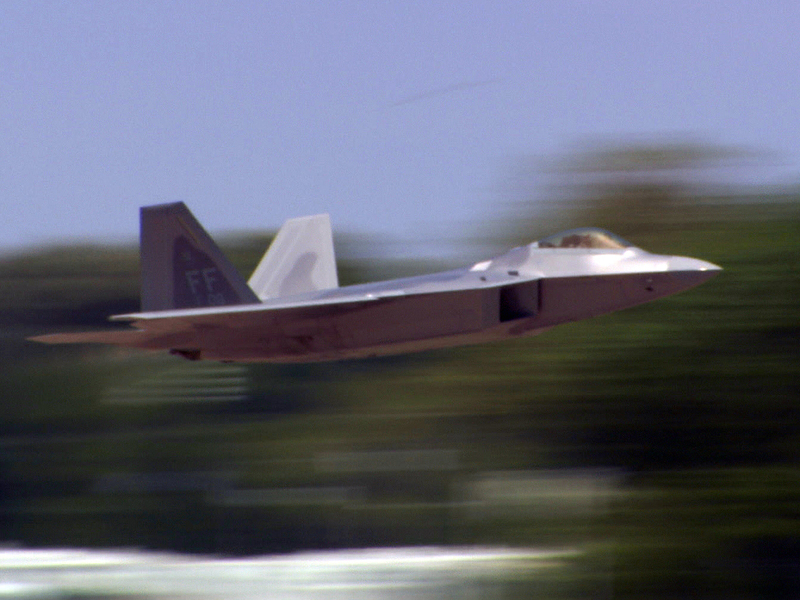 Joshua Wilson told 60 Minutes as a result of the problems they have chosen to stop flying the F-22. They are concerned about their safety in the air, as well as the long-term health consequences. Wilson said that during a routine F-22 training mission in February 2011, he suddenly realized he was losing control. "Several times during the flight, I had to really concentrate, immense concentration on just doing simple, simple tasks" he said. "Our training tells you if you suspect something's probably going on, go ahead and pull your emergency oxygen and come back home. When I did make that decision to pull the emergency oxygen ring, I couldn't find it. I couldn't remember, you know, what part of the aircraft it was in." Air Force officials say they have taken steps to fix the problem, but still haven't pinpointed what's causing it. Panetta has also ordered the Air Force to expedite installation of backup oxygen systems in the aircraft; directed that all F-22 flights remain "within the proximity of potential landing locations" so that they can land quickly in the event they encounter a physiological problem in the cockpit; and he told the Air Force to provide him with a monthly report on progress toward finding the root cause of the problem.